Hives for Haiti is dedicated to helping the people of Haiti by respectfully sharing knowledge in beekeeping and permaculture. 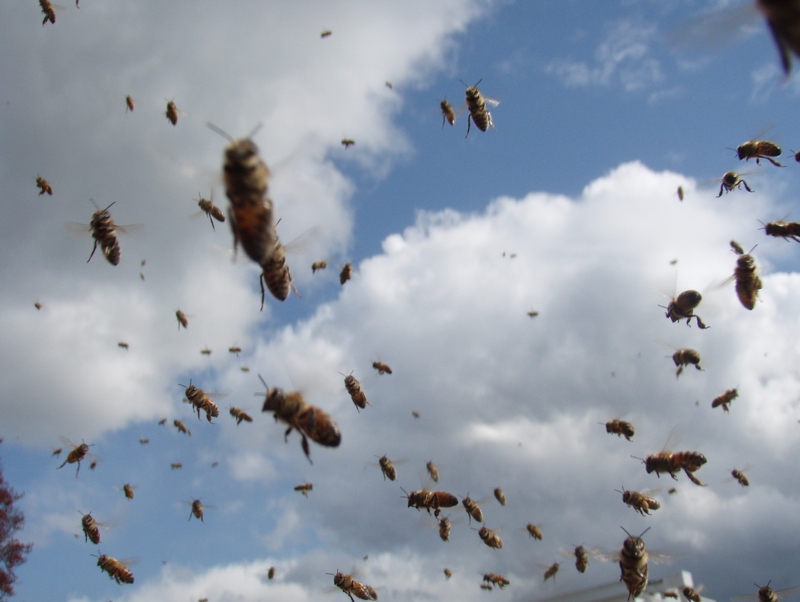 harnessing the energy of the beehive through organic, sustainable, harmonious apiculture. implementing the strategies of permaculture so bountiful crops can be produced – despite the world’s changing climate. Most importantly, our work fosters independence from our organization. In the wake of the 2010 earthquake, which killed over 230,000 people and left another 1,300,000 without homes, the surviving Haitians are subsisting in poverty. They struggle with limited access to food and clean water. The ability to generate income is a far away dream. They need things as simple as a plastic tarp to make a roof, or a banana to fill a child’s stomach. “For the nearly 350,000 displaced people who continue to live under shredded plastic, the only plentiful resource is scarcity” (Moore, A Tale of Two NGOs). Honey bees enhance the environment, provide high quality nutrition and multiple economic opportunities. 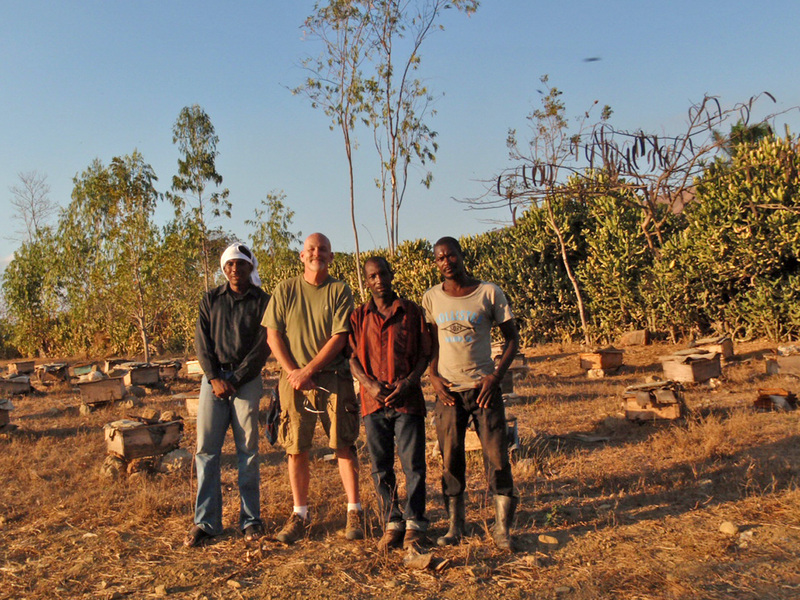 With some initial funding, and the sharing of knowledge in beekeeping, Haitians can harness the energy of the hive and greatly improve their lives. Beekeeping doesn’t require any special technologies or equipment. The sustainable extraction of resources from a bee hive can be successfully pursued with specific knowledge and rudimentary materials. Apiculture does not create a resource extraction which leaves less for the next generation. It is sustainable. The amount of honey produced goes hand in hand with the amount of pollination that has occurred; therefore, the more honey, the more pollination. More pollination means more fruit, more vegetables, more nuts, more beans, and all will be larger and healthier. This in turn leads to a happier, healthier bee population and the cycle continues. Permaculture: has become a critical aspect of our program. Climate change has all but wiped out Haitie’s spring and fall. They now have rain and drought (i.e. no in-between). Knowledge in permaculture will allow farmers to capture water during the rainy season and utilize that resource for growing during the annual drought.